A Celebration of Life for Mr. Clifford G. Mason will be Saturday, January 26, 2019, 11:00 AM, at First Baptist Church in Courtland with Pastor Christopher Neloms officiating. The body will lie in repose one hour prior to the funeral. Inhumation will follow repast in Calvary Memorial Gardens. Public viewing will be Thursday from 3-6 and Friday from 10:00 - 5:30 at Reynolds Funeral Home. The family will receive friends on Friday from 5:00-6:00 pm at the funeral home. 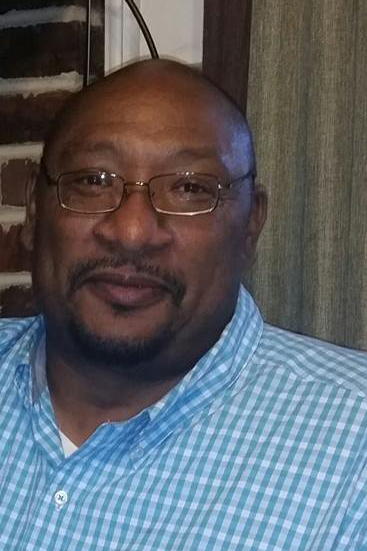 Clifford Glenn Mason 56, of Decatur, AL died on January 22, 2019 at Decatur Morgan Hospital. He was born on May 24,1962 in Lawrence County, AL to the late Keeton Haun and Rosie B Mason. He was a graduate of Courtland High School, where he played football, and was jokingly referred to as "Clark Kent" because of his glasses and super strength on the football field. He continued his education and football career at The University of North Alabama where he pledged Kappa Alpha Psi. and was awarded Gulf South All Conference Player his Senior year of 1984. He later became a Mason in North Courtland Lodge #713. Cliff was well known and loved by so many, far and wide. He resided in Decatur where he raised his son, best friend, pride and joy, Malachi. His home was a well known spot in the community where he loved to talk sports, politics and current events with whomever would stop in and visit. He either had a kind word or a blunt opinion but never meant an ill will toward anyone. He was a gentle giant with a huge heart. He was preceded in death by: his son, Jeremy Coffey; his father, Keeton Haun; mother, Rosie B. Mason; sister, Betty Neal Anderson. He leaves to cherish his memory: son, Malachi Mason; daughters, Sharay Harris of Decatur, AL, Felloney Moody of Decatur, AL, Taffena Fletcher (Lawson Fletcher III) of Montgomery, AL, Shanice Johnson of Decatur, AL, Zondra Moody of Decatur, AL, and Ebonnee McDaniel of Gasden, AL; grandchildren, Asa Martin, Jalil Moody, Awysum Harris, Briley Fletcher, Jamari Moody, Aavion Clark, Toriah Smith, Ashanti Johnson, Lawryn Fletcher, Noelle Fletcher, Kayden Smith and Djoser Smith; siblings, Fred Freeman (Jacquline) of Red Bank, AL, Russell T Hampton of Chattanooga, TN, Robert Earl King (Willie) of Courtland, AL, Lee Edward of Detroit, Mi, Rosie Bell of Town Creek, AL, Lugean Mason of Decatur, AL, Anthony Mason (Carolyn) of Decatur, AL, Rickey Mason of Hopkinsville, Kentucky, Vanessa Hampton of Courtland, AL, Valencia Lee (Calvin) of Hampton,Virginia, Maxine Orr (Robert) of Courtland, AL and Cleveland Brown (Deborah) of Town Creek, AL and a host of uncle, aunts, neices, nephews, cousins and friends.